Rest your feet indoors with these soft and comfy spa-style Gemma Women Mule Slippers with hook-and-loop adjustable closure by Vionic. Here comes the revolutionary Orthaheel Gemma, slip into the comfort and high style of slippers. For those who believe that comfort and style should be take seriously even at home. 100% polyester terrycloth and terry upper/lining features an adjustable hook-and-loop closure for easy on and off covered footbed. 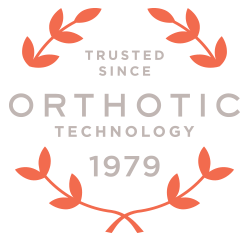 Biomechanically, podiatrist-designed, contoured arch support and deep heel cup to help prevent moderate to excessive pronation and realign your stride. Shock absorbing Flexible EVA midsole that reduce stress on feet, ankles and knees. We recommend wearing your new Vionic footwear or orthotics for just a few hours for the first few days to allow your feet to adjust to the new level of orthotic comfort and support for greatest comfort. If you hate painful heels when you are wearing your house slipper than you need this one. After wear then for one day my heel pain decrease. And when I first get out of bed these slippers are the first thing I look for to walk in. Great slippers.